Use of solar systems to power aids to navigation and obstruction lights is now common practice. PMAPI pioneered solar powered aids to navigation with installations in the Gulf of Mexico in the late 1960s. Having installed over 20,000 solar power systems, these systems have been proven to be more reliable, more cost effective and easier to maintain than conventional power sources. PMAPI has the expertise to fully customize systems to meet customer specific requirements that standup to the offshore environment. 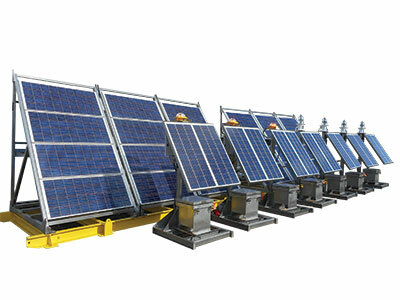 Our many years of collective experience in this field makes us the best option for industrial solar array systems.